We are an 11-16 Academy. 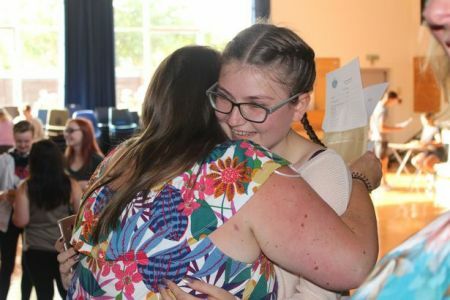 Students leave us upon completing Year 11 and receiving their GCSE results. 2018 saw another fantastic set of results for Castle Manor Academy's students. We are particularly proud of our Progress 8 score (+0.21) which demonstrates the impact the teaching and culture Castle Manor has on our students' progress. A Progress 8 score above zero means pupils make more progress, on average, than pupils across England who got similar results at the end of key stage 2. For a full breakdown of our results, please visit the Compare Schools Performance website and search for Castle Manor Academy.